Press Release (ePRNews.com) - NEW YORK - Oct 18, 2017 - Goodwill® Industries of Greater New York and Northern New Jersey, Inc. (“Goodwill NYNJ”) is pleased to announce that Michael Gabelli has made a $10,000 donation to create the Michael and Kristina Gabelli Fellowship, which will provide transportation assistance and/or Driver Training and Licensing for individuals participating in Goodwill’s Direct Support Professionals (DSP) training program. The Goodwill NYNJ DSP program provides training for individuals with barriers to employment to fill the gap in DSP positions needed in New York City. DSPs empower community-integrated activities for individuals with developmental disabilities to ultimately help them find jobs. We are grateful for Mr. Gabelli’s donation to support Goodwill’s DSP training program, which seeks to help meet the need in this sector’s fastest growing occupation, improving the quality of DSP job applicants, and increasing access to this high-demand career pathway. This is not only vital to our social infrastructure but has the potential to drive economic growth, particularly within low-income communities. Goodwill’s DSP program, funded in part by the New York Community Trust, consists of a 2-Week Training, Employer Placements and Job Retention. The comprehensive curriculum covers – CPR/First Aid/AED certification, HIPAA (Health Insurance Portability and Accountability Act) training, Abuse and Neglect identification and reporting, OSHA required safety (such as handling bloodborne pathogens and fire safety), POMs training (Personal Outcome Measures) and training on The Core Competencies as defined by the Office for People With Developmental Disabilities. The Michael and Kristina Gabelli Fellowship will provide the necessary assistance for DSP candidates to obtain Drivers Licenses, which are becoming increasingly required of DSP positions across the region, as the field of developmental disabilities services shifts to community integration. With driving training and credentials, DSPs will be able to provide more autonomous transportation for their many program participants, and travel from site to site more easily as participants are integrated into the community. 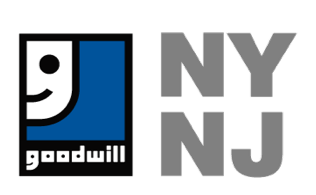 Goodwill Industries of Greater New York and Northern New Jersey, Inc. is a social enterprise that provides workforce development services, and retail and business opportunities. Our mission is to empower individuals with disabilities and other barriers to employment to gain independence through the power or work. The Astoria-based 501(c)(3) not-for-profit organization is a member of the network of 162 agencies of Goodwill Industries International, each with a designated region. Our 42 retail stores support our mission through the sale of new and slightly used donated goods while providing training and employment for our core constituency. GoodTemps, our temporary staffing division, places 700 individuals in jobs weekly in private companies and City and State agencies. Our welfare to work programs offer resources and supports to break the cycle of poverty for those facing significant barriers.